Course Resource Lists is an online reading list system that houses all the material that students need for their course including links to books, textbooks, journal articles, websites, podcasts and more! Provides quick and easy access to all the resources you need for your course including links to books, textbooks, journal articles, websites, podcasts and more. Makes resources easy to find and access so you can spend more time on your studies. Course Resource Lists are accessible from any web-based device. Saves you money by using more library resources. Contact your professor if your list is not available via Blackboard. They can email the library at courseresources@uwindsor.ca for help. 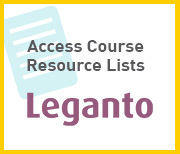 You can also access your Course Resource List directly from right here as a guest. 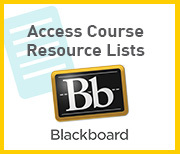 However, any downloadable files and copyrighted materials are available to students accessing from Blackboard.